"When people are marching with our song, we want to tell you we are with you and march on." "Short films are not made with money, but incredible tenacity." "I would like this moment to be for that kid out there who feels she's weird or she's different and she doesn't fit in anywhere. Yes, you do. I promise you: You do. Stay weird. Stay different. And when you're on this stage, please pass the same message along." Lastly, I wasn't even looking forward to this moment during the ceremony but, guys, Lady Gaga singing "The Hills are Alive" from The Sound of Music (as part of a tribute to the film and Julie Andrews) kinda blew me away. Why or why was she trying so hard all those years to look crazy when she is clearly talented? 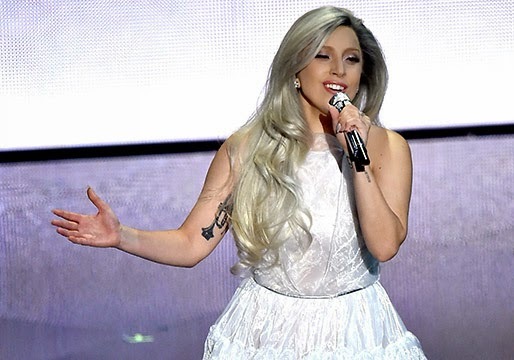 More of this Lady Gaga, please. 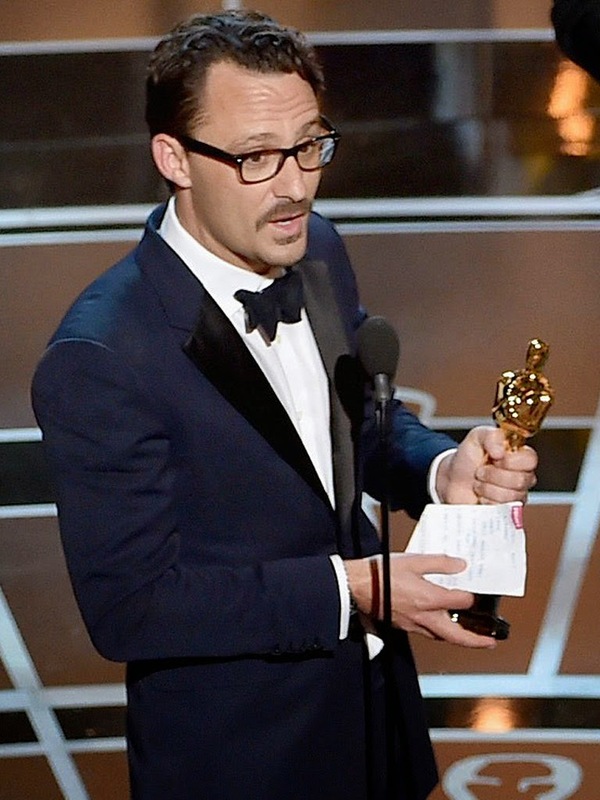 For the complete list of Oscar winners, click here. What was your favorite moment from the Oscars? You hit on most of the big moments from last night. 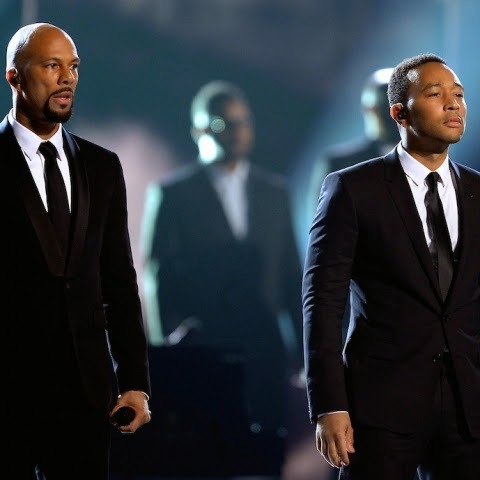 Loved the performance of "Glory" and the speech. 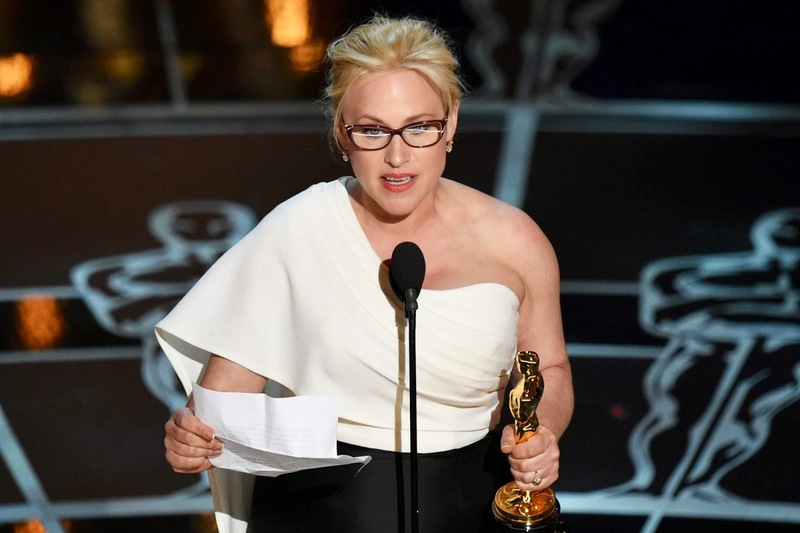 Patricia Arquette was my favorite part of Boyhood, and her speech just made the win even better for me. This is nothing against Lady Gaga, who did a great job. I just had lost interest by the time we got to the Sound of Music tribute. Why have that so late in the show? I too was surprised that Boyhood didn't win Best Picture! 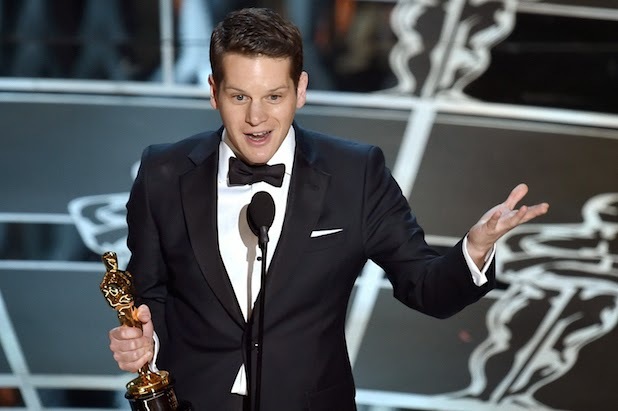 Highlight for me was the powerful speech by Graham Moore for The Imitation Game win. Really touched me!